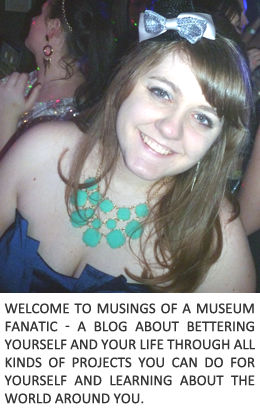 Musings of a Museum Fanatic: Happy Friday!! I just want the weekend here so bad! Although right now I just want the pizza here. Thank you Papa John's for the special deal tonight ... makes it so much better when the pizza is free : ) Oh and when you win on the topping choice ha! 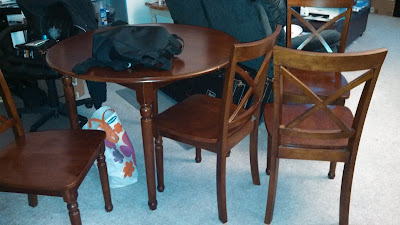 After getting lost a bit in Hobart, IN Kevin was finally able to get our new dining set. Isn't it so pretty? Now to get the old one out of here!! This weekend should provide more fabulous blackmail photos so tune in next week! Don't forget I am going to to try and get at least 3-4 good (or terrible ha) ones of myself for next Thursdays link up. Ok how did you get Papa John's for free?!? Papa John's is probably my favorite thing in this world and we spend entirely too much money on pizza in this house!